Fire On Her Tongue: An eBook Anthology of Contemporary Women's Poetry is the first electronic collection of poems by women writing today. Poets Kelli Russell Agodon and Annette Spaulding-Convy, Co-Editors of Crab Creek Review and Co-Founders of Two Sylvias Press, have collaborated on this ground-breaking literary project. Featuring over 70 of the most extraordinary poets from a variety of backgrounds and whose ages span from thirteen to ninety-one, Fire On Her Tongue showcases superbly crafted poems exploring the contemporary woman’s experience. Fire On Her Tongue is a unique collection created specifically with eBook readers in mind. This anthology has been entirely produced with a zero-carbon footprint as a “green” way to share today’s most exciting poetry with a larger audience. Fire On Her Tongue is an amazing resource for any reader or student who wants to explore an in-depth selection of work from some of today’s strongest women poets. 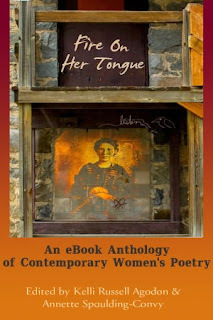 Fire On Her Tongue: An eBook Anthology of Contemporary Women's Poetry includes poems by Kim Addonizio, Deborah Ager, Ivy Alvarez, Nin Andrews, Elizabeth Aoki, Elizabeth Austen, Lana Hechtman Ayers, Dorothy Barresi, Judith Barrington, Mary Biddinger, Elizabeth Bradfield, Ronda Broatch, Gloria Burgess, Jill Crammond, Barbara Crooker, Rachel Dacus, Madeline DeFrees, Susan Elbe, Patricia Fargnoli, Annie Finch, Kathleen Flenniken, Rachel Contreni Flynn, Rebecca Foust, Suzanne Frischkorn, Jeannine Hall Gailey, Maya Ganesan, Arielle Greenberg, Kate Greenstreet, Lola Haskins, Eloise Klein Healy, Jane Hirshfield, Erin Coughlin Hollowell, Anna Maria Hong, Holly Hughes, Ann Batchelor Hursey, Luisa A. Igloria, Jill McCabe Johnson, Tina Kelley, Janet Norman Knox, Keetje Kuipers, Dorianne Laux, Jenifer Browne Lawrence, Kate Lebo, Carol Levin, Rebecca Loudon, Erin Malone, Marjorie Manwaring, Frances McCue, Aimee Nezhukumatathil, January Gill O’Neil, Alicia Ostriker, Nancy Pagh, Alison Pelegrin, Susan Rich, Rachel Rose, Natasha Sajé, Peggy Shumaker, Martha Silano, Judith Skillman, Patricia Smith, Ann Spiers, A.E. Stallings, Joannie Kervran Stangeland, Marilyn L. Taylor, Molly Tenenbaum, Ann Tweedy, Nance Van Winckel, Katrina Vandenberg, Sarah Vap, Kary Wayson, Katharine Whitcomb, Wendy Wisner, Rachel Zucker. To download on Kindle (Amazon): click here. To download on Nook (Barnes & Noble): click here. For a PDF copy to read on your laptop: click here and scroll down to the "Buy Now" button. Also available on iBooks, eBooks.com, and Kobo. For more information, please visit Two Sylvias Press. Thank you for your support of Crab Creek Review! 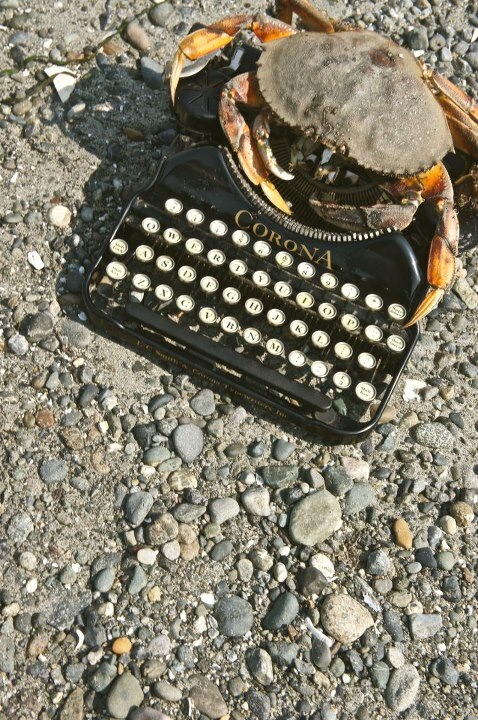 Crab Creek Review exists because writers, poets, readers, and those who appreciate and believe in the literary arts continue to support us. May your life continue to have the good karma that you give us. With thanks from all the editors at Crab Creek Review.